Interaction Meeting with trade held on 21.7.2017. 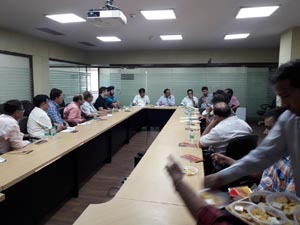 To interact the provisions of the Central Goods & Services Tax Act and Rules, a meeting was held by the officers of the Jurisdiction of Rajouri Garden Division and trade association at 1530 Hrs to 1715 Hrs on 21st July, 2017 in the meeting room situated at UG Floor of EIL Annexe Building. In the meeting the salient provisions of the Acts and Rules explained to the members of the trade association. Also, queries raised by them were replied by the officers. 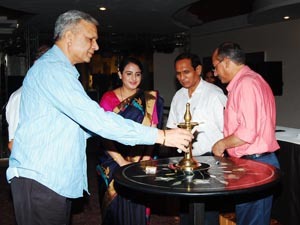 The meeting was conducted in a very friendly and congenial atmosphere. 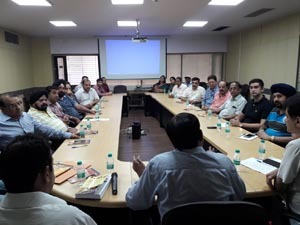 The office bearer of the trade associations were highly satisfied after the meeting and conveyed their happiness for the event organized by the department. Brief report regarding GST Handholding Session with Udyog Nagar Factory Owners Association held on 26th July 2017. 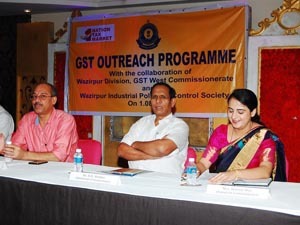 Subsequent to rollout of GST, to provide a platform to raise queries and concerns regarding GST implementation an outreach session in partnership with trade and industry was held at Udyog Nagar on 26th July 2017. Members from trade and industry and Press. 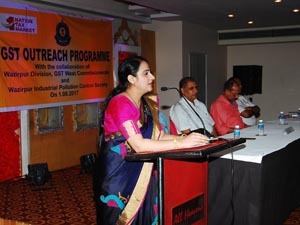 Session started with introduction of officers from central taxes, and officer bearers of association. 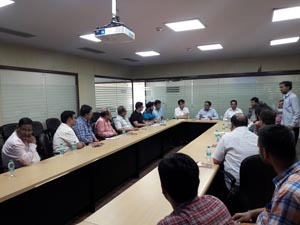 It was an interactive session and many queries, concerns were raised by trade and industry. Officers from central taxes answered almost all the queries cleared doubts, clarified concern related to various aspect of GST. 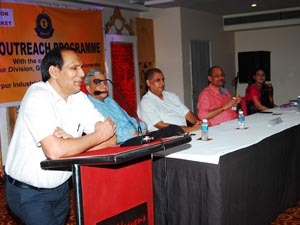 Overall session was very interactive and cordial. A small interaction with media at the end of the session was carried out to brief the objective and outcome of the session. 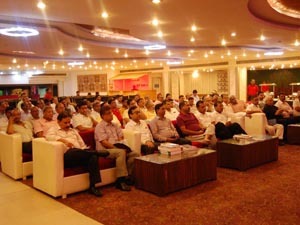 Session followed with felicitation of officers from central taxes by association. Notes of procedding on the meeting held with the trade associations in Pitampura Division on 04.08.2017 organized by the officers and staff of Pitampura and Mangolpuri Division. 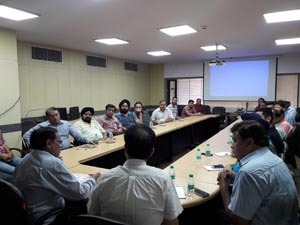 The following representative of trade and the officers and staff of Pitampura and Mangolpuri Division participated in the meeting held on GST issues in Division office at 7th Floor, CGO Complex, Lodhi Road, New Delhi. What is the concept of destination tax on consumption? On what kind of transaction can a businessman get GST Input Tax Credit? On what Kind of common transactions can a business not claim GST input Tax Credit? Is there any provision or planning to include electricity in GST? If freight is not mentioned on invoice (for deliveries) then what is the percentage of GST when paying to the transporter, and do we need an invoice from transporter? Is there a provision to get some input on GST for the end consumer? If the transporter is not able to provide any invoice, them what will be the incidence of GST? What is the interest rate or penalty if GST is not deposited by due date? Why is petroleum, tobacco, alcohol and some other items kept outside the preview of GST and are there any plans to include these items under GST in future? Will we get a refund on GST input if output is less than input GST? If yes, then is there any time limit to apply for such refund? Is there any time limit for the department to make GST refund? Will we get GST input on purchase, if there is no GST on end products (like agricultural products)? How can a trader or manufacturer not registered in excise get tax credit on stock in hand on 30 June 2017? What is the concept of Reverse Charge? Is it mandatory to raise an invoice for reverse charge? And if yes, then do we need to raise a single invoice of total amount at the end of the month, or separate invoice are required to be raised for each transaction? When purchasing from an unregistered dealer, there is already a GST component that is paid on his Purchase. Will that GST component be passed on to the registered dealer to whom he is selling his products? A dealer is not required to register for GST if his turnover is less than 20 Lakh. But as he is not registered, his competitiveness decreases massively as he is not getting any input on his purchases. So his selling price will obviously include the GST on his purchase, plus the reverse charge that the purchaser will be depositing. So no registered dealer would want to purchase from an unregistered dealer as his selling price is obviously much higher than a registered dealer, which will force the unregistered dealer to close down his business. What is the concept of E-way bills and who will apply to issue the E-way bill (Seller or Buyers)? Who will issue the E-way bill, Centre or State? When is it mandatory to issue E-way bill, with specific reference to New Delhi? Is E-way Bill different from forms implemented by several states like Uttar Pradesh? In case of inter-state sale (eg. From Delhi to U.P. ), does one need to issue both the E-way bill in Delhi and E-way bill in u.p.? Can an E-way bill be cancelled if actual shipment is cancelled or delayed because of any genuine reason? If yes, What is the time limit for cancellation? Are the states/UTs given authority to levy a Cess on any product? If states/UTs are the authorized to levy and administer SGST , then can a state change the rate of SGST as per their convenience ? Can SGST rate on a particular product be different states/UTs? What is the benefit to units in exempted zones ( like Haridwar, Baddi etc.) post GST? Will GST be charged on exports? If no, can we get GST input/refund on raw material purchased? GST rate on Metal boxes is 18% but if there is a brass, copper, Plasticcomponent attached to that Box (eg. Distribution Box), well the entire item be charged at 18% or 28%? If it will be charged at 28%, then can we raise two separate invoices for metal box and other parts at their respective rates, i.e. 18% and 28%? There is a building on mixed land use. Ground floor is rented for residential purpose but house tax is paid at Commercial rate. Will GST be charged on the rent such floor, as there is no GST on rent for residential purpose? Will the rent be treated as residential or commercial from GST point of view? Is there any GST exemption limit on commercial rent received? According to a news article, it is mandatory to deposit the GST for july-August even if there is input credit, is the news correct? According to some reports, it is mandatory to make payment to suppliers within 4 months. Are these reports correct? And if yes, what is the Provision of action or penalty on customers who do not pay within that period of 4 months? The meeting was completed in cordial atmosphere .d all the members were satisfied by the replies to queries raised by them.